Taken while snorkeling at Sombrero Chino in the Galapagos. 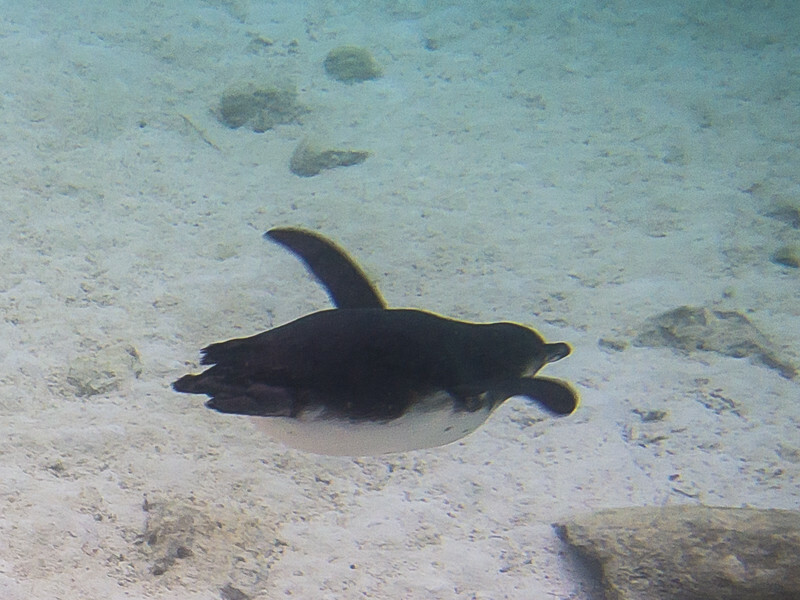 These penguins were feeding in the same place where we were snorkeling. They we like minature torpodeos diving past us to catch fish and then swimming to the surface again.